Presented to Indiana University Bloomington Conference, "The Turks and Islam," September 12, 2010. The political activity developed by the Illyrian ancestors of the Albanian ethnos was a result of a long tradition of local governance. The political traditions, laws and customs that later became known as Kanun evolved over many centuries. Some historians believe that these traditions originated among the Illyrians, but it is possible that they date back to remote antiquity or to a period of migration of the Indo-Europeans. (Kanuni i Lekë Dukagjinit, 1989, p. xvi – xvii). To ensure that all men were given fair and equal treatment, regardless of their age, their wealth, or the status they enjoyed in society, a specially-broad corpus of rules, an unwritten law, was created. These rules evolved from ancient and insufficiently documented antecedents but shaped a legislation regulating every aspect of social, political, and economic life. The unwritten law, which was codified in the XVth century, evolved into a system regulating administrative and religious affairs, covering even such matters as the irrigation system and livestock. This customary law endured for at least two millennia and survived three different empires. Some scholars who have studied the Kanun and examined this phenomenon are of the opinion that the history of Albanian local deliberative assemblies has manifested a democratic and self-governing character ever since the early period of the establishment of, and through the existence of, the Illyrian states. The assemblies of that period would usually meet to discuss issues related to battle and other problems that involved changes in the Code. (Elezi, 1994, p. 103). A considerable number of articles of this Code resemble the Greek legal tradition and Roman norms as well as the traditions of other ancient people, but an evolution away from them is also noticeable. A resemblance between the main redaction of Kanun, the Code of Lekë Dukagjini, and customary laws of other ancient cultures extends all the way to Japan. One of the greatest similarities of the Albanian and Japanese codes can be seen in their notions of the guest and that of food. (Yamamoto, 2001, p. 6). Every type of unwritten code has been subjected to continuous change and undergone centuries of addition and amendment according to the will of the ruling aristocracies or teams of jurists. The Albanian political tradition and customary law, having had to survive in a different environment from other customary law, seems to have changed the least in the last five centuries. Its preservation from change has had a twofold effect within the Albanian people. The Albanians had no doubt that an isolated entity cannot easily endure over time. Therefore, a respect for and an extraordinary disciplined belief in the law of the country was developed and observed. By preserving the customary law, the Albanians have preserved their own being. This guardianship has enabled the maintenance of the assembly as an institution and deliberation as the oldest and most original way of democracy. The assembly in the Code of Lekë Dukagjini is presented as the main axis for keeping this nation mobile. The nation has survived together with this institution and the totality of the norms of the Code. The laws of justice were administered, carried out, and amended by the ruling strata, which consisted of the elders. This procedure was developed within a highly elaborated system. The proceedings, which were public, were led by the council of elders, and there existed a system of evidence and testimony taken from both the prosecutor and the defendant. After deliberation the jury was expected to come up with a decision on whether the defendant was guilty or not. The system of fines as punishments was carried out in cases of smaller crimes, which nowadays are known as mere "offenses." Harsh punishment was carried out in different forms of embargo: expulsion from the community, suspension from property rights, ostracism and even the death penalty, which was pronounced for more serious crimes. Imprisonment did not exist. Criminal acts against the community were considered to be much more serious than those against an individual. "In fact, the self-government of the Albanian mountaineers went far towards being true democracy in the Anglo-American sense of that much-abused word. In its primitive way it was really government of the people, for the people. It had its defects, of course; sometimes a judge took a bribe or a man bore a false witness in spite of deterrents devised against such malpractices. Yet the legal system worked well on the whole, was often speedier and always cheaper than any European counterpart, and left few crimes unsolved." (Hasluck, Unwritten Law in Albania, 1954, p. 19). According to the Code, the ruling strata had no other option but to respect the will of the community, individual wealth and property, as well as the laws of the land. The ruling aristocracy could make no change in the laws in force without obtaining, in the assembly, the consent of the village, the clan or the region. Every movement of the ruling aristocracy was controlled and determined by the will of the commoners, which was expressed in the assembly. Such an alignment of power did not allow for the creation of an oligarchy. The ruling aristocracy had no opportunity to use public funds. Furthermore, no official residence and no personal bodyguards were assumed for them. The only privilege the aristocracy enjoyed was the seat of honor offered in feasts and public gatherings. The sense of community was further consolidated with every opportunity the Albanian highlanders gained. The younger generations were encouraged to value the deeds and the sayings of the elderly as if they were their own. Each individual was asked to view the home, the village, or a number of villages as if they were his own personal property. Such an approach to the development of social relations between the individual and the community, in which the individual lived and acted, created a strong foundation towards preventing different forms of dictatorship and keeping the door open to democracy. The weakening of the Byzantine Empire resulted in part from the strengthening of the Albanian principalities that continued functioning within the framework of Albanian customary law. By the end of the first half of the XVth century, the Ottoman Empire had occupied the entire Balkan Peninsula and was pressing forward in Europe. But the Ottomans, in spite of many battles, had not managed to subdue the majority of the Albanian territories. Two princes were well known for their resistance against the Ottoman occupation of Albania: Gjergj Kastrioti (1405–1468), whom the Turks called Skenderbeg (Alexander), excelled militarily; Lekë (Alexander) Dukagjini (1410-1481) distinguished himself in the judicial sphere but was also not unskilled in military matters. The details of Lekë Dukagjini's life are not well known, but his legacy has survived like no other in human history. It is known that Lekë Dukagjini was born in the ancient Illyrian city of Ulpiana, the ruins of which are found today very close to Prishtina, the capital of Kosova. His family ruled the principality that today encompasses Kosova and part of northern Albania. As a young man, Dukagjini lived in the most famous Adriatic cities of the time—Venice, Ragusa, and Shkodra—where he acquired the humanistic spirit of the European Renaissance. In fact, what interested him most seems to have been the judicial and political sciences. was indeed in power, since 'This is what Leka has said,' was more of a persuading power than the Ten Commandments together, and the teachings of imams and priests were disregarded if they opposed the sayings of Leka. It is said that Pope Paul II in 1464 excommunicated Lekë Dukagjini for his most non-Christian code. (Durham, 1991, p. 451). Durham spent a considerable period of time in northern Albania, including Kosova, observing this phenomenon. She concluded that the laws codified by Lekë Dukagjini were much older than the period in which they were codified and must have been functioning ever since the time of the warriors of the Bronze Age. "Lekë possibly put together the then existing tribe law, but his own laws are probably only those that are designed to check or reform old usage by enforcing punishment." (Durham, 1909, p. 27). It is difficult to fully describe the reforms Lekë Dukagjini brought because the Code was conveyed orally. It is not known which norms he forbade and which ones were introduced for the very first time. Yet, what is known is that the assembly and deliberation were central institutions in the Code of Lekë. For example, in 1444 at the Assembly of Lezha, Albanian feudal leaders agreed to continue fighting against the Ottoman Empire. Dukagjini fought for twelve years after the death of Skenderbeg. Legend has it that Dukagjini surrendered to the Ottomans only after extracting promises from them that the Albanian unwritten laws would be respected in the Albanian mountains and that the Ottomans would not interfere in these issues. Dukagjini later emigrated to Hungary, but before leaving, he cursed those who would not observe the Code and blessed those who would not stop fighting against the Ottomans. Until the deaths of these two "Alexanders," the Code served as the main pillar of the medieval Albanian state in both the judicial and political spheres. During Turkish rule, the assembly was in certain places called mexhlis, a word deriving from Arabic via Turkish, meaning assembly, council, or parliament. Some linguists hold that the Albanian word kuvend (assembly) is derived from the Latin word conventio. Yet kuvend fully covers the meaning of a parliament. Since the early 1940s, the Parliament of Albania has been called "Kuvendi i Shqipërisë". While Kosova was still an integrated part of the former Yugoslavia, the same word, kuvend, was used to name the body that was supposed to be the highest in the political and legal hierarchy of the territory. The first kuvend ever registered was the "Kuvendi i Lezhës" (the Assembly of Lezha), followed by several in the XVth century. After Dukagjini's death, conditions found during the Roman Empire repeated themselves: The Ottomans exercised their power mainly on the coast and in the plains of Albania. The Albanian laws, newly codified, still held sway alone, in the mountainous parts of Albania. The Turks, like the Romans, did not attempt to subdue these parts because of the resistance they faced from the Albanian mountaineers, who once again withdrew to the mountains to continue their life according to the rules that they could not forsake or replace with those of their invaders. Toward the end of the XVth century, there was another withdrawal in order to preserve the local self-governing power, which had now become a stronger obligatory framework of customary law. The center of governing was again the assembly, which usually convened in order to reach understandings or agreements on governance or political issues, and in much rarer cases, judicial issues. The Code now completely regulated essential issues such as governing, marriage, inheritance, religion, and livestock. The only task remaining was to carry the Code from the memory of one generation to the other. Of course, in time, in different areas, there emerged codes under other names and with slight discrepancies, but they did not stray far from the grounds of the Code of Lekë Dukagjini. His Code remained unwritten until the XIXth century when non-Albanian writers started to publish parts of the Code in other languages. (Malcolm, 1998, p. 17). The transition to the institution of bayrak took place as follows: After the death of Skanderbeg, Ottoman ambitions breached the northern part of the land of the Albanians. The Ottomans made serious efforts to establish their economic and political rule in these areas. Here, under the system of Timar or landed estates, land was given to those who were successful in the military field, for loyalty and service to the Empire. But the Timar system did not produce the effect that was shown in the lowlands where Ottoman rule was established totally. The northern tribes were not willing to surrender to the might of the new Empire that had reached their lands. For almost two centuries the wars between the northerners and the Empire were an everyday business. During the XVIIIth century the Ottoman Timar system disintegrated. As the decline of the Ottoman power began, the central authority gave way to autonomous Albanian lords. The most prominent were pashas of the Bushati family that ruled the northern Albanian lands now in Montenegro, Kosova and Northern Albania. Ali Pashë Tepelena of Janina ruled southern Albania and a great part of Central and North West Greece. Within the Ottoman state, these Albanian pashas had created their own states. Following the era of the regional pashas, the Ottomans in 1831 abolished the Timar system altogether. The bayrak was an administrative unit with military and judiciary functions. The bayraktar was the leader of a certain territory who had duties toward the Ottoman Empire. His first duty was to provide the Empire a certain numbers of soldiers from his territory when the Ottomans needed them or when the occasion of war arose. The Ottomans had to pay the Albanian bayraktars from the state treasury. The second function of the institution of bayrak was of a judicial character. In territories considered under the bayrak, the Council of Elders would convene and take decisions on judicial matters. It has been difficult to establish an exact date when the system of bayrak was formed in the Albanian lands. Some Franciscan missionaries and some Albanian writers and Ottoman chronicles observed this fact during the XVIIIth century. The earliest document is to be found in the Central State Archive of Albania. It is an official document issued by the High Military Command of the Ottoman Empire in 1738. The Ottoman commander writes to the bayraktars and elders of the district of Hoti, asking them to appoint Hasan Hoti bylykbash of that area, that is, a military officer with responsibilities for public order. But the system of bayrak was established gradually. The system was initially introduced in the Sanxhaks of Shkodër and Dukagjin, in localities such as Mirëditë, Malësi e Madhe, Malësi e Gjakovës etc, which were most resistant to Ottoman rule. By the end of the XIXth century there were 96 bayraks and bayraktars in the territories' today called Northern Albania and Kosova. In the southern regions of Albania the Ottomans established their rule and influence with less difficulty. By the beginning of XVIIIth century the majority of the Albanians were converted to Islam. The Ottomans with their culture had changed the portrait of the country and the majority of the population had comfortably integrated into the system of the Empire. In return the contribution of the Albanians to the Ottoman Empire was considerable. By the beginning of the XIXth century the empire was practically run by Albanians. In the military field the contribution of the Albanians could not be ignored by anybody. The personal guards of the Sultan were traditionally Albanian. The number of the Albanians that served in the political structures of the Empire as Sadrazams (Grand Vezirs or Prime Ministers), Vezirs, governors and other officials was high. Nevertheless, notwithstanding this integration of the Albanians into the Empire, the kanun did not lose its authority, especially in the north. The Albanians turned more to it when they realized the extent of decline of the Ottoman Empire. They then decided to assert their national interest. To defend and promote their patriotic aspirations, Albanian leaders met in Prizren (a town in Kosova) in 1878, and the Albanian League was formed. The aim of the League was to proclaim the autonomy of the Albanian land divided in four Vilayets: the Vilayet of Kosova, of Shkodër, of Manastir and of Janina. Feared and alarmed by the strong nationalistic orientation of the Albanian League, the Ottomans violently suppressed it in 1881. 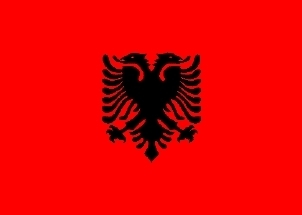 However the League became powerful in Albania's national awakening and its aims later culminated in national independence. The main personalities of the League were the Frashëri brothers. The most outstanding among them was Sami Frashëri or Şemseddin Sami Bey (1850–1904) as he was known in Istanbul. Sami Bey was a journalist, writer, educator, linguistic reformer and above all a critic of imperial institutions. He was a major figure in the late Ottoman Empire and was described as one of the Turkish munevverler (intellectuals, enlighteners). Albanians were also were the main power in the engine of the Young Turks. But the latter, when they seized power in 1908, ignored their commitments to the Albanians. Albanians then embarked again in an armed struggle and forced Istanbul to agree to demands for independence. Durham, E. (1909) High Albania, London: Edward Arnold (Publisher to the India House). Durham, E. (1998) Brenga e Ballkanit, Tiranë: Naum Veqilharxhi. Elezi, I. (1994) E drejta zakonore e Labërisë në planin krahasues, Tiranë: Libri Universitar. Hasluck, M. (1954) The Unwritten Law in Albania, Cambridge: Cambridge University Press. Illia, F. (1993) Kanuni i Skenderbeut, Shkodër: Argjipeshkvia e Shkodrës. Malcolm, N. (1998) Kosovo – A short history, London: Macmillan. Ulqini, K. (1991) Bajraku në organizimin e vjetër shoqëror, Tiranë: Akademia e shkencave e RPS të Shqipërisë. Yamamoto, K. (2001) The ethical structure of the Kanun, Shkodër: Qendra për Drejtësi dhe Paqe.